Penelope Loughhead’s house in the leafy neighborhood near Rice University abuts the land where, nearly a decade ago, a proposed high-rise sparked a land-use battle that resonated citywide and throughout the local development community. This week marks two years since a judge ruled the proposed Ashby tower could go forward after a monthlong trial and jury verdict that agreed with residents that the 21-story tower would be a nuisance to surrounding property owners. The judge agreed to some of the roughly $1 million in damages jurors assessed against Houston-based Buckhead Investment Partners but denied residents the permanent injunction they were seeking to halt the project. Yet the 1.6-acre lot sits empty as both sides await a decision on their appeals. The developers declined to comment, citing the ongoing appeals process. They did not answer questions about the status of the project, although they previously told the Chronicle that the construction was moving along despite the appeal. Attorneys for both sides made their cases during an appellate hearing in September. A decision could come down any day, attorneys say. In documents filed with the 14th Court of Appeals, the attorney for the developers, Raymond Viada, argued against the damages that jurors awarded 20 residents who live near the Ashby project’s 1717 Bissonnet address. He wrote, in part, that the developers altered plans for the project after the jury’s decision and before the injunction hearing. Therefore, the project discussed in trial, which was ruled by the jury to be a nuisance, was no longer what his clients were proposing. Viada wrote that the developers, who have already invested $14 million in the project, changed plans to reduce lighting from the garage, place planters on the amenity deck to add privacy and reconstruct its foundation to limit the impact of damage to surrounding homes. He wrote that the developers expect to net $72 million in profit if the project is not stopped. See here for all the Ashby blogging you can stand. As I said the last time, it really boggles the mind to realize how long some lots in extremely desirable parts of town have been empty. The old Robinson Warehouse, Allen House, The Stables, and Ashby sites have been fallow for going on ten years. They remained unbuilt through a multi-year real estate boom that was especially hungry for inside-the-Loop properties. Now, in the midst of a low-oil-price downturn, it’s hard to imagine any of them changing status any time soon, and that’s without taking the Ashby lawsuit appeals process into account. I keep thinking that one of these days something will change, but all I’ve gotten for my trouble is that much older. Sometimes I forget this is still a thing. In 2007, longtime urbanites said goodbye to the Allen House Apartments, a decades-old complex along Dunlavy just south of Allen Parkway. The multiblock property was a Houston institution, housing hundreds of college students, senior citizens and professionals behind brick walls and wrought-iron balconies that gave it a decidedly New Orleans feel. The demolition of most of the units there – while marking the end of an era and eliminating scores of reasonably priced inner-city apartments – was done to make way for a more modern development covering 24 acres of prime property. The land has sat mostly dormant during the years following the initial announcement, but several new signs point to a coming revival of the project, Regent Square. The development was the subject of a meeting Wednesday night of the North Montrose Civic Association. Scott Howard, the association’s treasurer, presented details about the project to residents. He said he had met with an official from the Boston-based development company earlier in the week. “They’re ready to go,” Howard said, explaining how the project had been shelved during the recession. He showed off booklets the developer had passed along containing renderings and site maps. It was dated Nov. 16, 2015. Howard told the group, which was meeting in the library of Carnegie Vanguard High School in the Montrose area, that the project would contain 400,000 square feet of shops and restaurants, 240,000 square feet of office space, 950 multifamily units and 4,200 parking spaces. Plans for an Alamo Drafthouse Cinema, an entertainment concept that combines a movie theater and dining, in Regent Square are still in the works, as well. “Alamo is coming to Regent Square,” Neil Michaelsen of Triple Tap Ventures, owner of the Houston locations, said Thursday in an email. See here for prior updates. The last news we heard about this was almost three years ago, when the announcement was made about the Alamo Drafthouse. The developers did recently finish off a high-end apartment complex a bit down the street on West Dallas, so they haven’t been completely inactive, but I think it’s fair to say the main event has taken a lot longer than anyone might have expected. At this point, I’ll believe it when I see it. More than five years after announcing plans for the 24-acre Regent Square project off Allen Parkway, GID Development Group has begun construction on the first building, a 21-story apartment tower called The Sovereign. 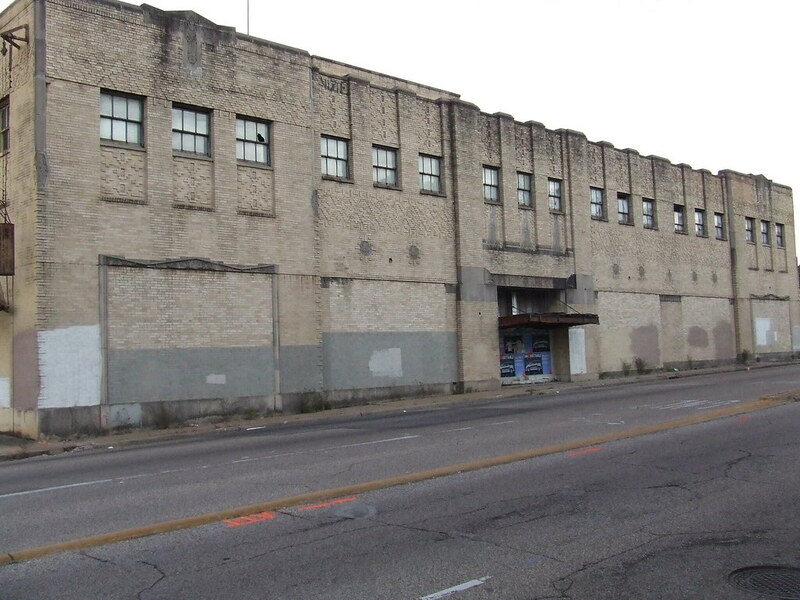 GID said it remains committed to Regent Square, which is to go up in multiple phases on land abutting Allen Parkway near Dunlavy and Dallas, on the site of the old Allen House Apartments. The development could take 10 years to complete. Plans include about 400,000 square feet of retail, restaurant and entertainment space; more than 1,500 residential units; and 250,000 square feet of office space in what the developer refers to as an “urban district” where residents can walk to everything. The walkable nature of the project extends beyond its borders, [GID President James] Linsley said, with a pedestrian trail around Buffalo Bayou and high-end shops and a new Whole Foods a short distance away. Additional construction could begin in about a year as the company is “moments away” from signing up a major retail tenant, Linsley said. We heard about movement on this front in May. Like many other projects, it was the collapse of the economy that brought it to a halt. I’m glad to see it finally get going, that’s far too valuable a property to sit vacant like that. Prime Property has more. Signs of life at Regent Square? HERE’S A LATE addition to the demolition of the Allen House Apartments, the first portions of which went down in 2007, in anticipation of the giant Regent Square mixed-use developmentin North Montrose that never happened — or rather, hasn’t yet.The smashing of one Allen House’s 2 remaining buildings is now taking place across West Dallas from Teala’s Mexican Restaurant,just beyond the back windows of the Piedmont at River Oaks condos on Rosine St. A Swamplot reader sent us the above photo last Friday. Does this mean the long-dormant Regent Square is at long last ready to stir? There’s pictures of what may be to come at Swamplot, so check it out. As noted, Allen House was demolished in October, 2007, though we first heard about its demise in January of that year. The last update I had on Regent Square was from August of 2010, and it did say that they hoed to break ground in 2012, so this thing is actually on track. I may haul out the camera again when construction starts. The Ashby Highrise developers have filed suit against the city. The developers of the Ashby high-rise sued the city of Houston today seeking more than $40 million in compensation after repeated denials of their permit application. “The city must learn that it cannot misapply the law to please a select few or to achieve de factor zoning regulations that our community has consistently rejected,” said Kevin Kirton, the chief executive of Buckhead Investment Partners Inc., the company that sought to build the 23-story tower at 1717 Bissonnet near Rice University. I presume “de factor” is a typo in the statement they sent out about this, but as I am not on their press release distribution list, I cannot confirm that. I will simply note that both the neighborhood and the developers have threatened to sue at one time or another, and it actually feels a bit like relief that one of them finally went ahead and did it. As you know, I do think the original project, with the mixed-use component, is a better overall idea than what was eventually approved, but it remains the case that this is the wrong location for that project. We’ll see what a judge and/or jury makes of it. On a side note, think about all the grand projects that were going to happen in recent years, for which things were torn down, and whose sites now lie fallow for who knows how much longer thanks to the crappy economic and financial environment. I’m talking about sites like the Robinson Warehouse, Allen House, The Stables, and of course Sonoma. Is is just me, or is anyone else amazed that Morgan and Kirton are so secure in their financing position that they keep bulling ahead like this? You have to wonder what their secret is.